A rare opportunity came our way and led to my husband and I spending last weekend alone, without children, in a posh hotel in Geneva. This is the first night that we've spent without at least one of our children for nearly 8 years. We did all sorts of things we had forgotten were possible. We dined on curry after getting tipsy on fizzy wine before going out, we strolled around a flea market without buying a thing, we visited (but failed to understand) a modern art gallery, we drank hot chocolate in a posh Geneva chocolaterie and even managed to sneak in a beer at a pub in the afternoon. But the highlight of my weekend was simply enjoying Channel 4's Sunday Brunch from the comfort of my bed while sipping a complimentary Nespresso or two. I know technically I live in a hotel, but it doesn't quite compete somehow. 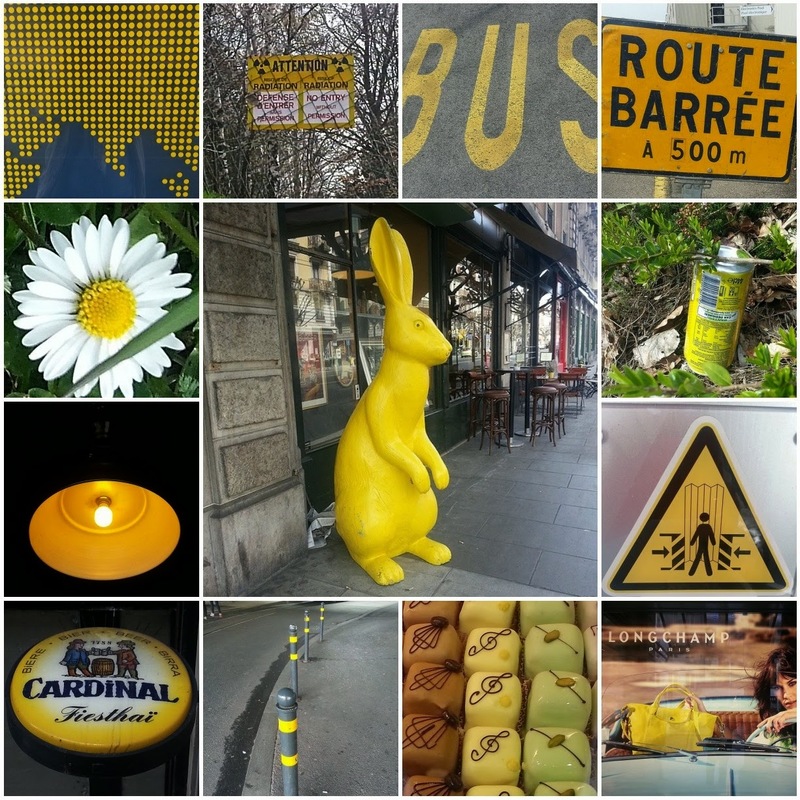 Anyhoo, yellow was my photographic theme of the week so here are some yellow things we came across as we tramped our way around the city.